Do You Ever Wish You Were One of Those "Lucky" People? There are definitely some people in this world that seem to get whatever they want out of life. I'm sure you've seen plenty of them before. It appears that they are successful in everything that they try to do. They want to lose weight, and it's done. They decide to get into a new career, and they are successful in the blink of an eye. They never worry about finances, because they always have their bases more than covered. Who wouldn't want to be one these lucky people right? Well, I know there are two different types of people reading this right now. 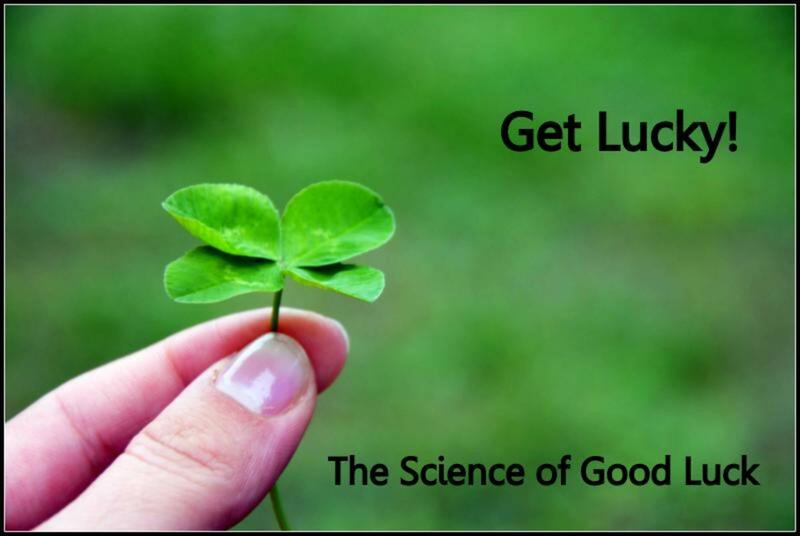 One group is nodding in agreement wishing that some of that luck would come their way, and the other group is thinking that the type of person I just described has a lot more than luck on his side. I happen to be part of the second group myself. I believe that there is a specific mindset that most of these so called lucky people have that makes all the difference in their lives, and it could make all the difference in your life too if you choose to apply it. Which do you think has more influence on your success, mindset or luck? 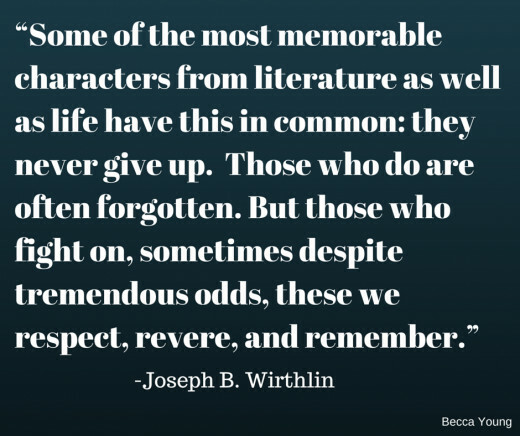 It turns out that there are a few things that most lucky people have in common. They share some common mindsets that can really make or break a person in the realms of achievement. In fact it turns out that their success has very little to do with luck and everything to do with living true to these secrets. It really doesn't matter that much what you are trying to achieve either. No matter what ambitions you have for your future, knowing these secrets will give you more power to move forward, and pretty soon people will think you are one of those lucky people. You might be surprised at how simple these secrets are. You've likely even heard them before, but the thing is that most people hear these secrets over and over again during their life times, but never choose to fully apply them to. The following are some mindsets that lucky people maintain in order to achieve the successes that so many people think come by chance. I took these quotes from the video below, which I highly recommend watching. It is amazing! Most of the lucky people that you encounter understand that most of your success is all in your head. The way you think determines the way you act, and the way you act, determines your results. 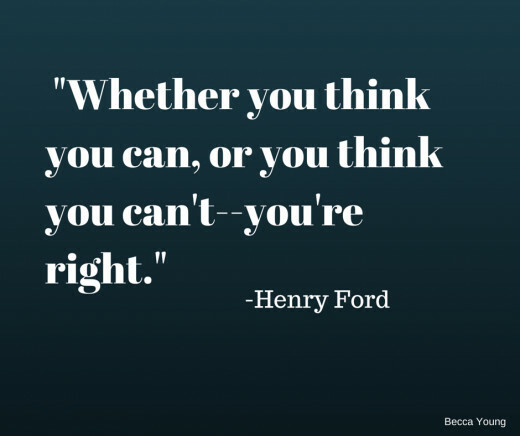 Henry Ford once said, "whether you think you can or you think you can't, you're right. The people who believe this idea have a huge advantage over those who don't. If you really think you can achieve your goals, you will put forth the effort necessary to make them possible. If you don't think you can, you have no reason to even try. If you want to know what someone really believes, just look at their results. Do you have the lifestyle that you wish you had? If not, it's because it's not in alignment with your core beliefs. Maybe you think that lifestyle is unattainable or that you aren't actually worthy of it. If you don't have the life that you want, somewhere deep inside, you have a belief that is holding you back. Your first step to becoming one of the lucky people is to dig deep and figure out which beliefs are keeping you from achieving your most important goals. The lucky people you meet are willing to face their fears rather than hiding from them. This probably isn't something that comes naturally to them. This is a mindset that they had to train themselves to have. 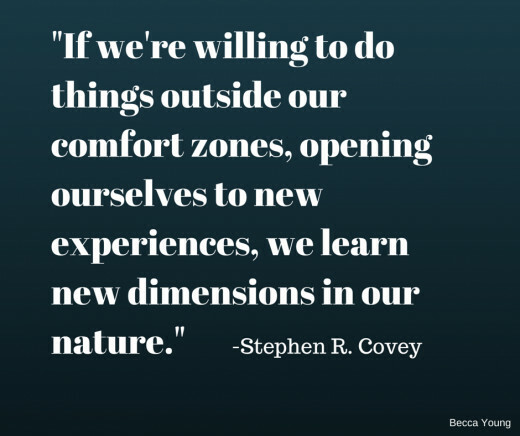 Finding enough courage within to push through your fears can be difficult, but it is certainly worth doing. It is often people's fears that hold them back more than anything else. Some people are afraid of failure, some people are afraid of success, some people are afraid of what others think of them, and many are afraid of what they think of themselves. Everybody has fears, but the people who find the courage to push through their fears and try despite the things that they are afraid might happen are the ones that end up achieving their dreams. Many people don't achieve the success that they are capable of simply because they haven't discovered what it is that they were meant to contribute to the world. The lucky people that you see achieving their dreams are the people that maintain the mindset that they were blessed with talents that can change the world. All people have gifts and talents, but unfortunately, some of those talents can go unnoticed for a lifetime. Like the narrator in the video says, "Most of us don’t use the stuff that we have brought into the universe. (If you haven't watched the video yet, make sure to watch it before you leave this hub..Seriously, it's awesome!)" There are a lot of reasons that people don't discover their talents. Some people are afraid to try new things because they fear failure and in turn never discover some of their greatest gifts. Others are extremely gifted but are in a state of denial disguised as humility that blinds them so that they never see the talents that they possess. Either way a talent undiscovered is a talent that is not having much influence on the world. If you choose to take on the mindset that you are a talented person with a lot to offer to the world, you will soon find your talents helping you to become one of those lucky people that you admire so much. Did you watch the motivational video included in this hub? Yes! It was awesome! Time to conquer the world! No, but I'm going to watch it now. Nope! I can't afford to spend five minutes watching a video that could be just the motivation I need to shift my mindset. Success doesn't happen on accident, and it very rarely happens by chance. These lucky people you see from time to time who seem to be successful at everything they try have been trying for much longer than you've had an eye on them. They have trained their minds to keep trying even when the task at hand seems mundane or even impossible. There is a story about a person going up to an accomplished musician after a performance and saying, "I would give my life to play like that." The musician replied simply, "I have." People who see others as lucky, often don't realize that those lucky people have dedicated their lives to becoming the people that they are. This goes right along with being rewarded in public for what you practice for years in private. If you want to be one of the lucky people, you have to be absolutely relentless. There is no room for giving up! This seems quite simple, but there are a lot of people that give up when the going gets tough and then have a hard time figuring out why they haven't achieved their dreams. If you made a goal and it doesn't matter to you anymore, by all means dedicate your life to achieving something else, but if you have a dream that you really want to achieve, dedicate your life to achieving it. That's what the lucky people do. When people ask me how I lost almost 100 pounds, I tell them that I literally ran my tail off. It wasn't easy, but with a positive attitude and a lot of hard work I proved that it was possible. 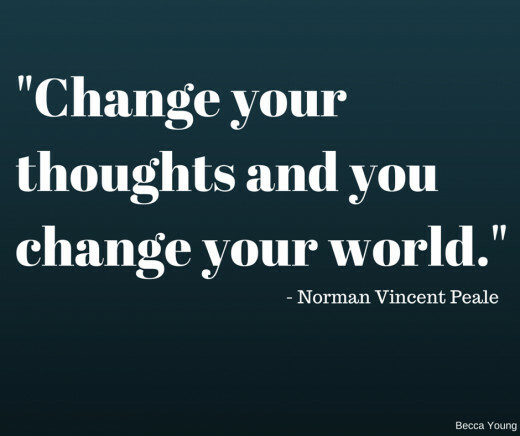 Are you ready to change your mindset so that you can change your life and change the world? I'm happy the way things are. Nice article with refreshing insights! Well chosen quotes. No worries! I actually went back and did a little bit of editing to make sure that my message would be more clear just in case other people found it to be a little bit confusing. I always appreciate any advice I can get to make a hub better. Somehow I missed your last two segments that say just what I said so sorry about that. When I use my phone (which is smaller sized) to read things it's easy to miss things. Thanks for your insight! I really appreciate it. This was very good! However, you lump lucky in with having a positive mindset! Luck, as its usually defined means something happened just by chance, not by skill, ability, strategy, attitude etc! The luck and positive mindset kind of contradict each other. 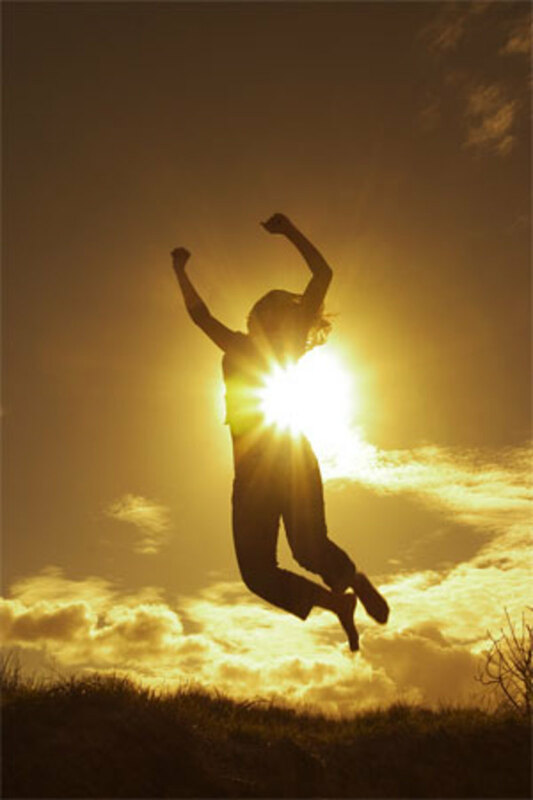 All that being said, you are very right that people who are confident and relatively fear free, and are highly motivated and positive often achieve more! 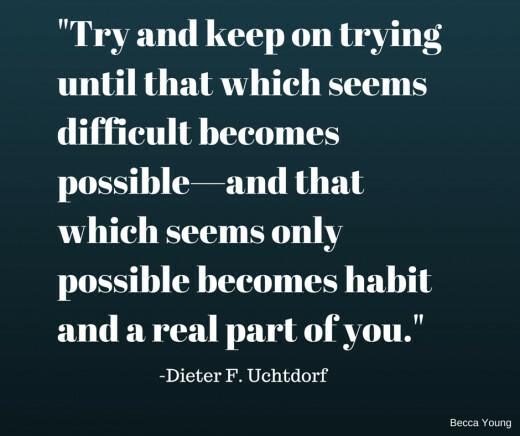 Interestingly, there are some people who fail over and over, but because of their tenacity to keep trying, they sometimes end up achieving their goal, but needed to learn through their failures! I'm thinking of Thomas Edison who invented several amazing things but it took hundreds, even thousands of tries! He didn't think of them as failures but as process of elimination! Lincoln ran for office many times before getting elected! I give up too easily or am easily discouraged, so this was a good topic to remind me attitude can make such a huge difference! Nice work!